Himalayan Balsam (Impatiens glandulifera) is an aliaen plant originating from the western Himalayers. It was introduced to Britain in 1839. It escaped from gardens and spread to river banks and areas of damp ground. 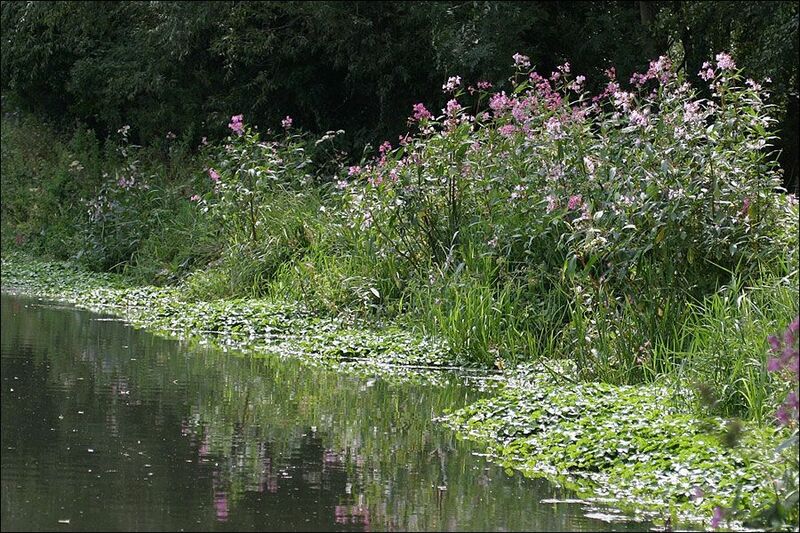 Himalayan Balsam grows in dense stands stopping the growth of native grasses and other plants. In autumn it dies, leaving the riverbanks bare of vegetation and susceptible to erosion.